Something I've done before and something I felt was easy to do. But you know what - it's just in my mind. It was stuck for the past 6 years. I've tried, but failed. I was always hungry. There was always a reason - I was breastfeeding, I was traveling, I don't have energy - endless reasons really. About two years ago, I tried walking 10,000 steps a day. Did it work? Well, kinda - but very little. I guess, I looked better but then after my brother's wedding - I kinda let myself go. Hahaha! I ate and ate and forgot about the 10,000 steps. The following year, Kailee started going to ICA and since I was on the bring her to school duty - I had to sleep early. So bye bye the race to having 10,000 steps at night time. Early this year, I thought about it - I decided that I wanted to try dieting again. But nothing, I still did nothing. I needed a push. I've been doing the Military Diet on and off - but I kind of forget to control every so often. The fact that I'm 37 says that my body is so very different when I was in my 20s. When I was still single and didn't have a care in the world, less responsibilities compared to now that I have kids, a husband and a household to take care of. Things are different now, totally different. A wonderful surprise came by a few months ago. 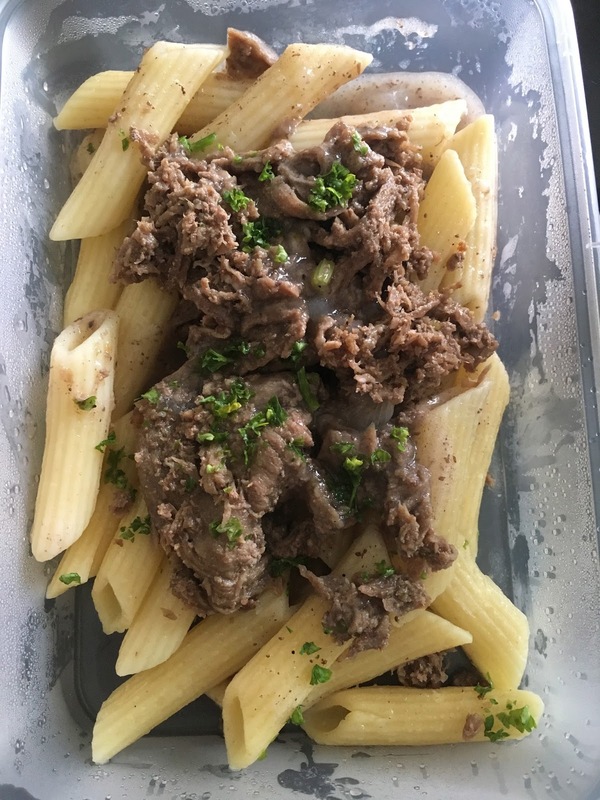 Fitness Gourmet contacted me and asked if I wanted to try out their calorie counted delivered meals. I immediately said yes. Wala ng isip isip. It was now or never. I was excited and scared and nervous and happy. So many different emotions rolled into one. Hahaha! 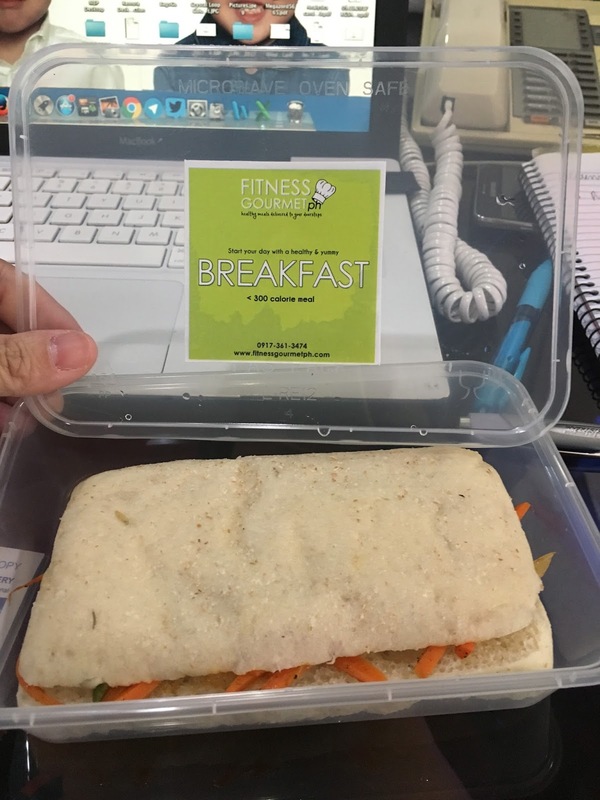 My first #FitnessGourmet meal was a breakfast sandwich. Of all breakfasts - it had to be a sandwich. 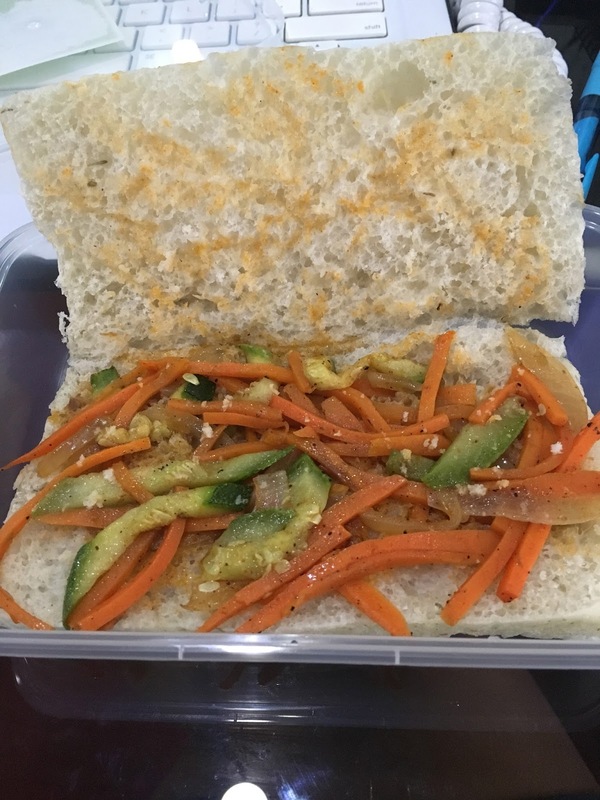 My heart did a little dive when I saw what was inside the sandwich - it was all veggies. All veggies. I was scared. But you know what - it smelled really good. And so I bit into it. There was no turning back. On the first bite - well, I'm glad that it was love at first bite. It tasted really good. I thought to myself - do not judge unless I've taken the first bite. Hahaha! 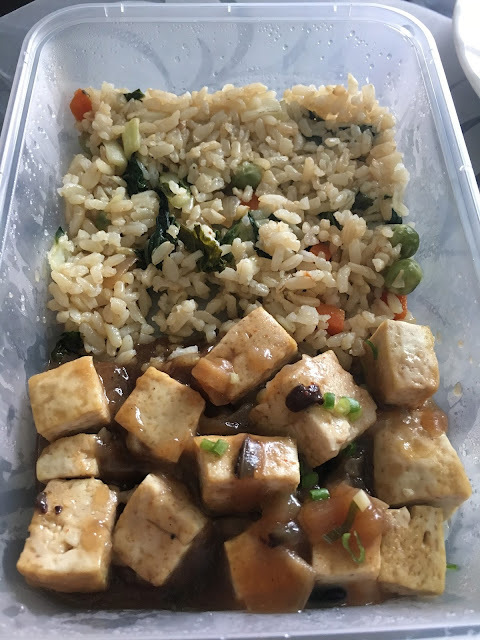 It was really good, I said to myself that if I had meals like that, 300 calories and very tasty - then it would be a start of a great journey. At 7:30pm I have this hunger pang - when I do, I eat a couple of roasted nuts or skyflakes. For the first week there were two nights that I ate a pack of Skyflakes. I drank LOTS of water to feel full, but the feeling is quite different. I knew that I needed to get used to this. I didn't want to cheat, YET. Hahaha!! What I specifically remember on my first week I was really short tempered. Hahaha! I would snap on the smallest things. I was very irritable with Kailee and Connor, especially when they were noisy and fighting - I was HANGRY. As in literally hungry + angry. Hahaha!! I was so excited to finish the week off and have my overnight oats. BUt you know what, the next morning - I had this urge to control. I felt guilty that I was going to cheat. I still had self control. Something good right? I was so nervous on the Saturday of Week 1. I had to weigh myself. I was looking at the scale for a long time and didn't want to weigh myself. I think I waited for about a minute or two. Then I finally stepped on the scale. I was soooo happy to see that I lost 5 lbs! I was happy but in disbelief - I'm sure all of you who are trying to lose weight would understand. I stepped on the scale at least 5 more times, just to see it the scale was really correct. And it was - 5lbs down! Woohoo! I felt really proud of myself. I said to myself - if I power through the program for 3 more weeks, I would really be losing weight. I was excited and happy. I was told that I could eat normally on the weekends - and I did. I was a bit conscious on the portion of what I was eating. 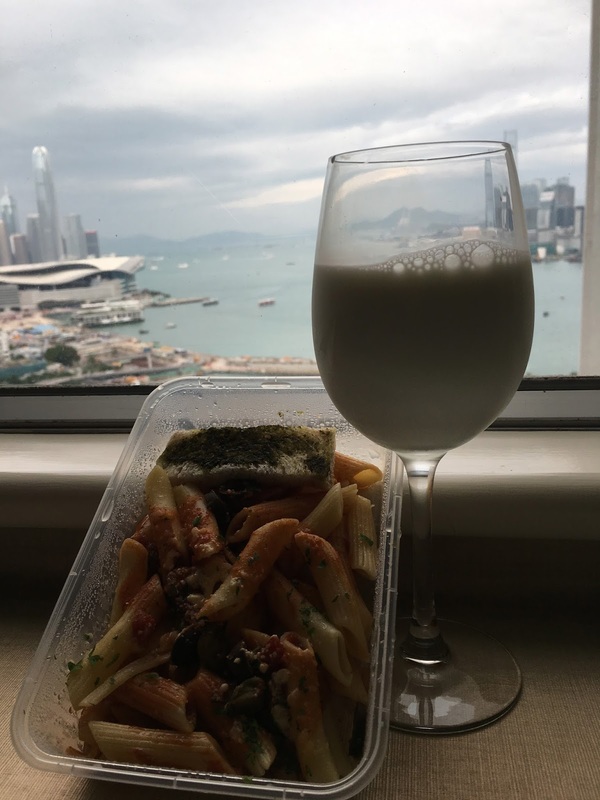 I was so happy to be able to drink milk again and have some other food! 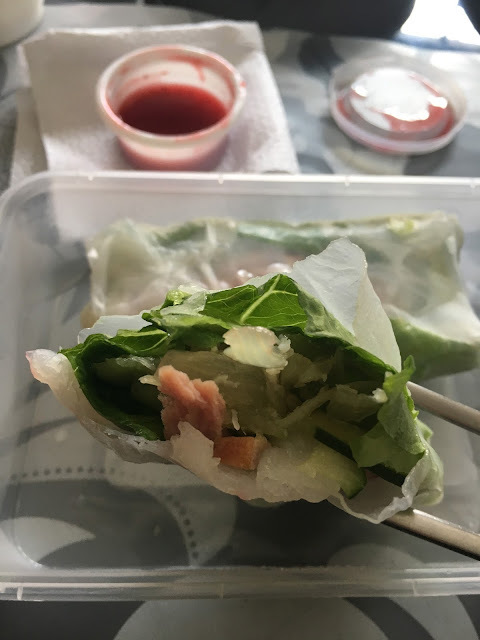 Weekend eating was good and controlled - I was excited to start Week 2. Week 2 came by fast. I was not as irritable (but still short fused, hahaha! ), I still experienced hunger pangs. The meals were still very good and tasty. I would look forward to heating and eating the meals. 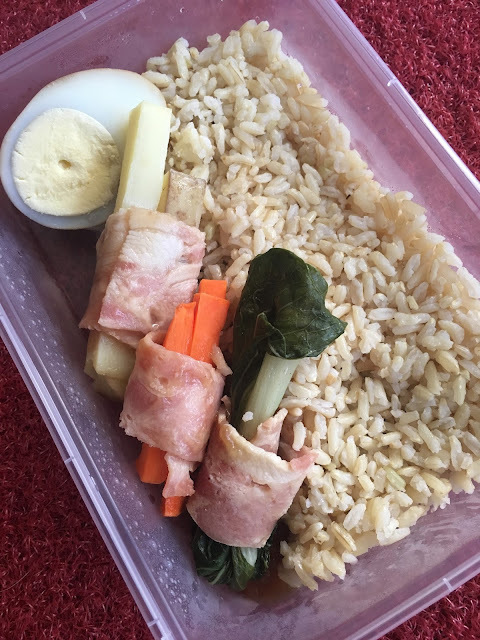 I would often check IG for the menu and was just happy and excited with the meals delivered. It was such a refreshing thing pala to have the food delivered to you and all you needed to do is heat it up and eat. I didn't feel guilty when I finished the meals! Hahaha. When I felt hungry I would just munch on roasted nuts (I didn't take Skyflakes anymore) and would drink lots of water. I confess that in the middle of the week - I cheated and ate 1/2 a burger. I thought to myself - its was okay, as long as I made up for it on the next meal - and I did. I fasted the next meal! Haha.. I felt guilty. When Saturday Week 2 came - I was nervous for the weigh in because of the that I ate mid week. I took the plunge and weighed myself - I lost 5 lbs. I couldn't believe it! I cheated yet, I lost another 5 lbs. I was on a roll, it was such an effortless weight loss program. I was not exercising, I was just eating calorie counted meals! I was amazed and impressed, most of all I was with excitement that I lost 10 lbs in 2 weeks! AMAZING, right? I was on a high and told myself that this was the jump start that I was searching for. I'm glad that #FitnessGourmet found me, I am so very thankful! I was very excited for Week 3 because in my mind, I assumed - I can still lose another 5 lbs that week. I made sure not to cheat. My friends were inviting me to have breakfast or lunch, but I had to decline - I said that I can go BUT I would just *be with them* and just have my calorie counted meal. Sayang diba? They felt guilty and told me that once I was off the diet, we'd meet up for a meal. I was lucky to have supportive friends. I was lucky too that my Panget was cooperative, but he was always asking to look at my food and then giving me a smirk afterward. I think Kailee felt bad for me because she was telling my mom that *Mommy is so wawa* with regards to my meals. And she would always ask if I was okay after I ate my meals. Hahaha! Yaya B also felt the same, she would always tell me how many days it will be until Saturday. Connor would always be excited for me on Saturday morning. Hahaha! I'm glad that I have a supportive family. Or else, I think I would be going crazy! Hungry, Angry and Crazy. Hahaha!! I think my system was already adjusted to the calorie counted meals that I had. I was less hungry. I actually started to skip a few of my afternoon snack! Hihi.. Can you believe that? I was skipping meals! I was so proud of myself! Hahaha.. In my head, I can live by consuming less than 1,200 calories a day. But I would later regret skipping the snacks, because when I weighed in on Saturday Week 3 - I only lost 1 lb - one measely pound. I was disheartened, but then I said to myself - 11 lbs in 3 weeks was already an achievement. I had to accept it. I figured, this was such a good opportunity to lose the weight. I wouldn't even lost any pound had I not started this journey with #FitnessGourmet. I had to count my blessings, right? And count I did. This was the last stretch, my 4th and final week. I would be happy to lose any amount at this point because I have maintained losing 11 lbs for the past three weeks. But I headed into trouble as later on my 4th week, well - I had to leave for Hong Kong. On my last day on the #MakeItFit Challenge, I had to leave. I was worried to be honest, because in HK, I'm sure to do a LOT of walking as we were going to a convention/exhibit. On the plane, I made sure to order ahead - a fruit platter. I was surprised at my decision to be honest. It's a good thing that my calorie counted meals arrive at night, usually after dinner time. So for the trip, we left really early and I was able to have my breakfast on the way to the airport. Mind you, I HAND CARRIED MY LUNCH AND DINNER in an insulated bag. Yes, I was that serious. I wanted to do it. My Panget was shaking his head when he was holding the bag for me. We arrived around lunch time and knowing that we'd be walking sooooo much that afternoon, I decided to cheat for lunch. I knew that my walking would for sure burn the calories I was taking in. 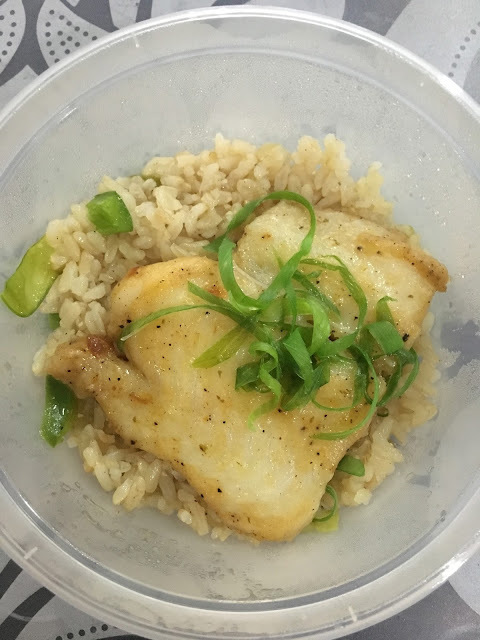 I kept my Fitness Gourmet meals in the room's refrigerator while I munched on Delicious Kitchen's fried pork chop with rice. I was so surprised at how controlled I was. I only ate half the pork chop and a few spoons of the rice. On a *normal* day - I would finish them all and would still be ready to eat other food. Hahaha! Self control - that was something new. Portion control - that is really really new to me. My Panget was so surprised at the amount of rice left on the bowl and he even said *Yan lang kakainin mo? * And I felt full despite the half pork chop and few spoonfuls of rice. I was prepared and ready for the walk. And walk I did. I clocked 22,365 steps on my Fitbit that day. According to my Fitbit app, I burned 2,802 calories, walked 21 floors or 9.03 miles. Not bad right? On Saturday Week 4 - I was nervous again when I asked housekeeping for a weighing scale. My good friend K asked me what it the scale was not *in tune*? I didn't know what to answer. Hahahaha!! I bravely stepped on the scale and saw that I lost 2 lbs. Yes, just 2 lbs on Week 4. But you know what - I've lost a total of 13 lbs in 4 weeks. That's such an achievement for me! Especially when I struggled to lose weight for years. And this was just in a span of 4 weeks, 4 freaking weeks! 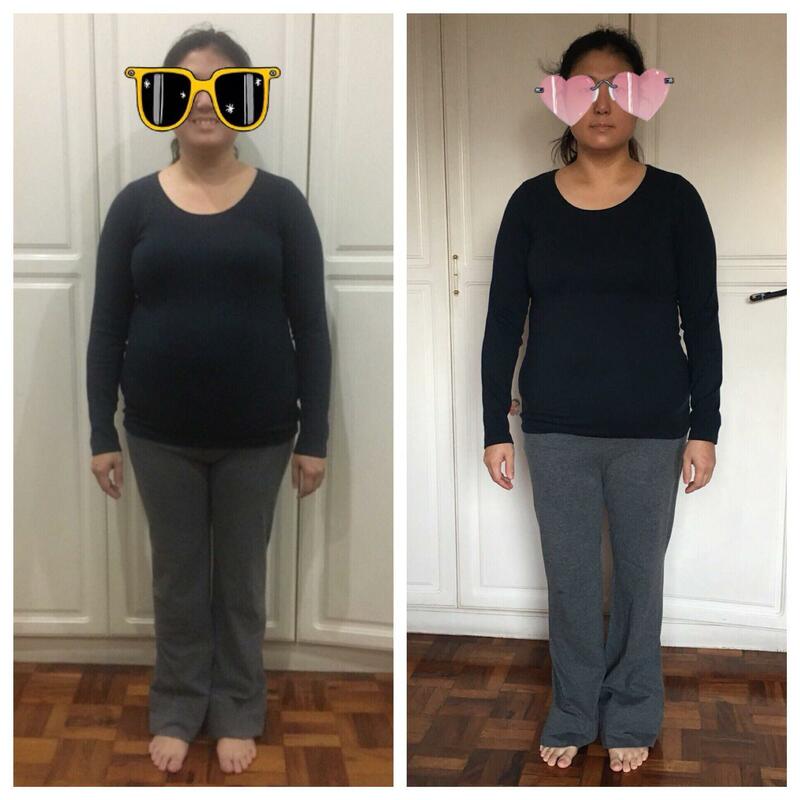 I was very very happy with the 13 lbs lost during the 4 week course. I was satisfied and contented. I would have wanted to lose more but I'm happy to take this 13 lbs anytime. It was only when I took a before and after picture of myself did I see how very *round* I was.. So what did I think about Fitness Gourmet? Well for one, the food delivered was on time all the time. During the first week, delivery was made in the morning, while the succeeding weeks were made the night before. It was packed neatly in a plastic bag with the plastic containers labelled properly. I found it very convenient because I can just get the corresponding container and heat it up in the microwave. The food was tasty and good. The menu was very interesting, and went together very well. I feel that the menu was well thought off. It wasn't like they just decided to make any dish just to fill the 1,200 calories. They actually made sure that the taste of the food the whole day would go well with the other food. There was significant balance in the menu's taste and selection. I found that really impressive. I was very happy that they seldom served salad, on the days that they did - the salad dressing made all the difference. I found the portioning of the food, very good too. 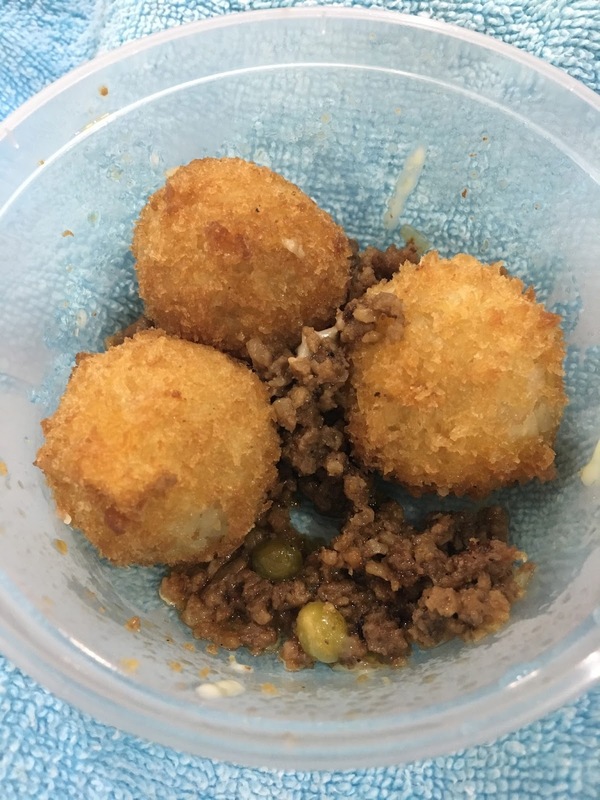 It felt really konti when you look at it but when you start eating, you'd realize that the portion was just right. Most of the first two weeks, I would really judge the portion, but every time after I eat it - I would be filled, not full but filled. Sakto lang. If you want to jumpstart your weight loss, please please do consider ordering from Fitness Gourmet. I have to be honest, without Fitness Gourmet's calorie counted meals - I wouldn't have lost any weight at all. Zero, as in really zero. Fitness Gourmet has helped me watch the portion of that I eat. Fotness Gourmet made me believe in myself again - when it came to portion control. I realized at the end of the journey that - it is POSSIBLE. Kaya naman pala. 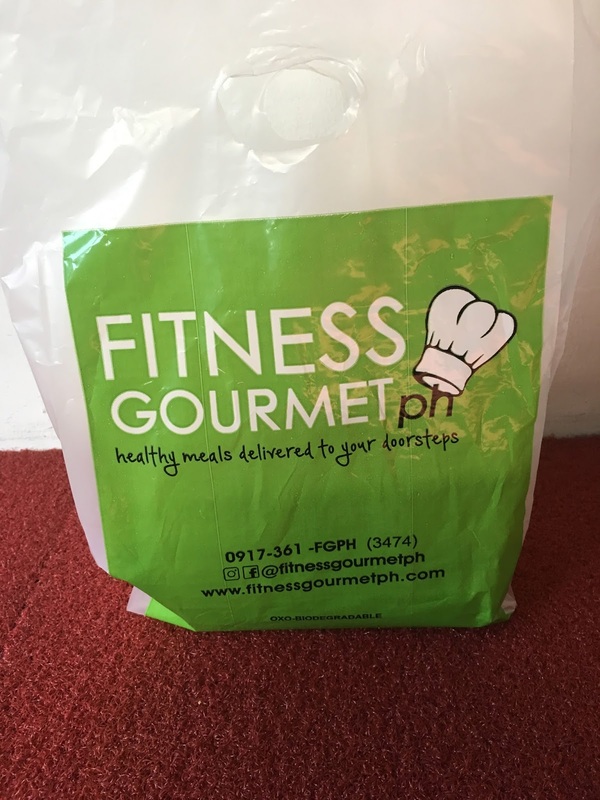 Price wise, I think #FitnessGoumetPH offers a very reasonable rate for the taste and quality of their food. Imagine paying at least P360.00 a day and you have 3 full meals plus a snack. Not bad right? Easy peasy! No effort to cook and prepare, just heat it up and eat it! I swear, this is a wonderful start to the weight loss journey you have been eagerly wanting to have. I swear by it, had it not been Fitness Gourmet, I wouldn't even have lost a pound, ever. To think that this was pure portion control without exercise. I'm amazed, impressed and beyond grateful. Thank you to #FitnessGourmet for the wonderful opportunity.